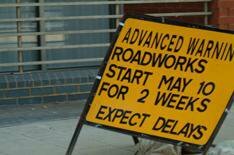 1 million to cut roadwork disruption | What Car? A 1 million fund to research roadwork techniques and help cut congestion has been revealed. Over the next 18 months, the Department for Transport-funded research will be undertaken by the Transport Research Laboratory to explore new temporary and fast-setting road surfaces. It's hoped that this will allow utility companies to dig up roads during off-peak hours and have them ready for use again during peak times. The Department for Transport is also drafting new regulations that will allow councils to charge utility companies for the time they spend digging up roads. The first such rental scheme should be in operation in London in the first half of 2012, and should encourage utility companies to work faster and during off-peak periods.